Technology Services of Iowa, LLC: Picture Perfect Deals! 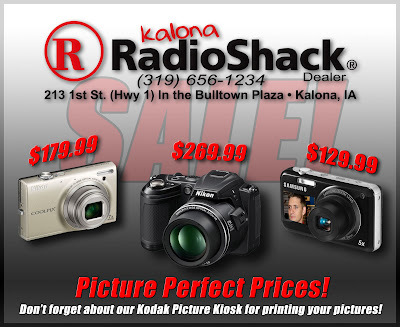 Great deals on digital cameras this week. Stop by your Kalona RadioShack today for all your digital needs! Cameras, Memory, Cases, Screen Protectors, Chargers and so much more!